Which Goal of the Sligo LECP does the work of your group most align to? What will Sligo PPN do with your information? Groups joining Sligo PPN are providing us with their contact details in order to enable them to be fully consulted and included in the local democratic processes as well as in the national network of PPNs. Groups joining the PPN are entering an agreement that the details they supply may be shared with other members of the network, with the elected representatives of the PPN, with members of Sligo PPN’s secretariat, with the Environmental Pillar, with Sligo County Council and with other bodies or persons who require access in order to facilitate the ongoing work of the PPN. When you join Sligo PPN you are also agreeing to receive emails, texts and newsletters from us. 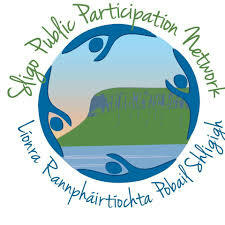 Sligo PPN will not supply the information provided to it to any person or organisation not engaged in PPN work or activities or in the community and voluntary sector in Sligo.